The optical adjacent to our practice carries a wide variety of frames. 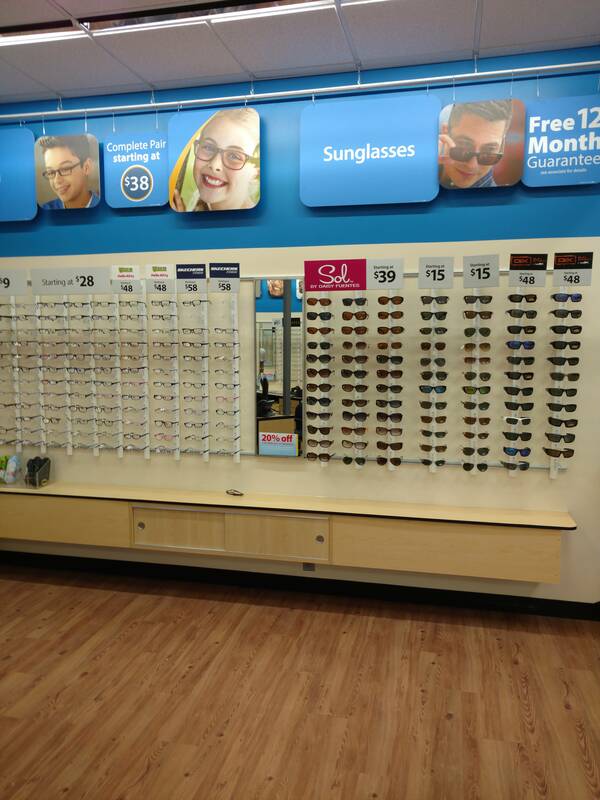 Because Walmart and National Vision can get considerable discounts on their frames, they can pass this savings onto you. Frames start as low as $8.00 in some stores. With considerable savings on the frame, most patients can upgrade their lenses to include Anti-Reflective coating, Transitions lenses, polarized, high-index lenses, polycarbonate, or simply get a second pair of sunglasses. All of our offices can get your new glasses can get your new glasses within a week so you can see what you have been missing.